Word puzzles are an effective and entertaining way to practise irregular past tense verbs with your students. Let your budding wordsmiths have fun reviewing those tricky past tense verbs with this crossword puzzle! Practise makes perfect...especially when it comes to figuring out those tricky irregular plural forms! 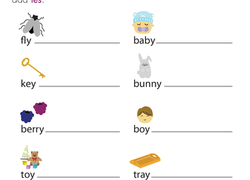 In this practise worksheet, your students will use context to fill in the plural form of these irregular nouns. Irregular plural nouns can be tricky, but a little practise can go a long way! Use this worksheet to give your students practise matching nouns to their irregular plural noun form. Help your students review root words so they can analyze unfamiliar words and figure out the meaning without using a dictionary. In this worksheet, students will identify the root of each word containing suffixes and prefixes. It's time to look into the past... tense. Students will change present tense verbs into irregular past tense verbs. Locate and colour the compound words to reveal a hidden picture. Learn how, with the addition of a suffix, everyday words can transform into completely new ones. Students will write the plural for each word by adding -s or -es to the end, then circle the plural forms found in the word search. Do you students need some extra practise with irregular plural forms? You've come to the right place! This practise worksheet will have your students using context to fill in the plural form of these irregular nouns. Can your second graders differentiate between singular and plural nouns? Let's find out! Use this sorting activity to let your students distinguish between singular and plural using regular and irregular plural nouns. Adding “ed” to the end of a word can make three different sounds (t, d, and ed). 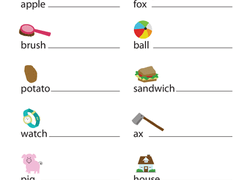 Help students understand the different sounds through this sorting activity.